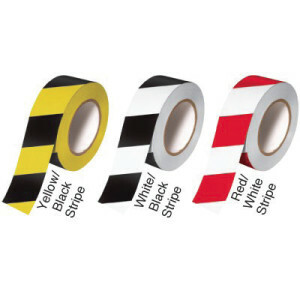 Hazard Stripe Tapes are used to mark hazardous areas with different color code combinations. Hazard stripe tapes are used for marking floors, handrails, steps, hazardous areas, and for color-coding, bundling, and identification. These PVC tapes may have a glossy overlaminate for appearance and protective purposes. They are abrasion resistant and resistant to acids, alkalines, and oils.